Shakes and smoothies are an amazing breakfast or go-to snack option. They require virtually no time to prepare, they have many vitamins and nutrients that will keep you going throughout the day, and they are also yummy! However, you have to be aware that not all shakes are created equal. The one you pick up on your way to work or coming back from the gym might have way more sugar in it than you’d like to know, preventing you from reaching your fitness goals. However, protein is of the essence in your weight loss process. Protein shakes are handy, as the added protein you take in this way satisfies your body, boosts your metabolism and reduces your cravings. But you don’t want any of that added sugar. The solution to this is simple: make your own shakes at home! There are so many recipes online that literally anyone can find the one they like, and the health benefits will be doubled if you know exactly what’s in it. So, here are a couple of recipes to give you some ideas. This might become your new staple smoothie, not only because it’s incredibly quick to prepare, but also because it’s fresh and delicious. You can use a mix of berries – raspberries, blueberries, blackberries, strawberries – which will provide you with plenty of antioxidants, and the oats will give you the much-needed fibers and will make you feel full. 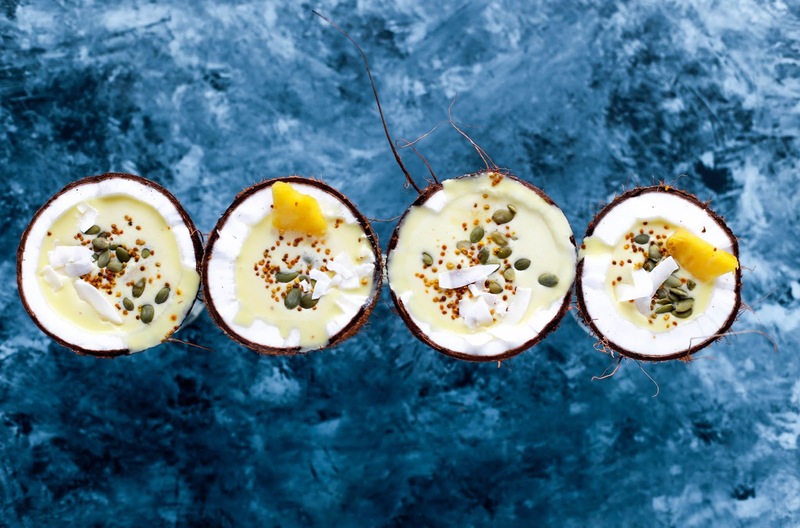 The added ice makes this smoothie perfect for the summer or warmer weather. You can sweeten it with a little bit of honey, which is a much better option than sugar. If you’re really in a hurry, why not merge your morning coffee and your breakfast into one? This iced-coffee protein smoothie will make sure you’re awake, supplied with plenty of protein, and will even spoil you with its sweetness and creaminess. Put some coffee into your fridge the night before, and in the morning, mix it together with vanilla protein powder, some soy milk, a frozen banana, ice cubes and a bit of flax meal. Flax meal is really good for you on several fronts so don’t skip this ingredient! Low in calories but high in protein, this creamy and delicious smoothie is a perfect guilt-free dessert. The taste of orange and strawberry mixed with vanilla gives the perfect balance of sweet and sour, while cottage cheese provides texture and just the right amount of protein. If you want to switch out the cottage cheese, use bananas and protein powder instead to get a similar effect! 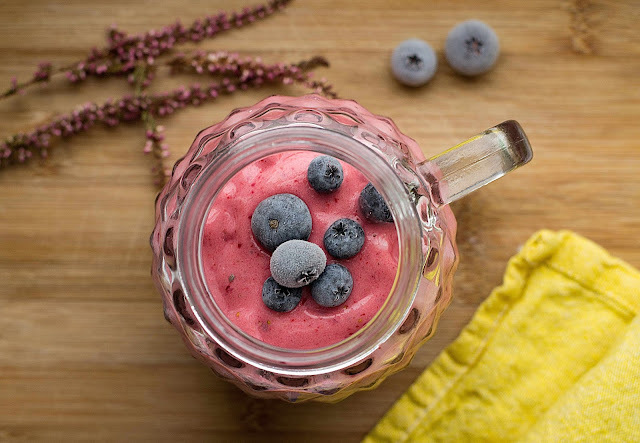 For berry lovers, this is another great recipe to try – and it’s very rich in protein! Combine a banana, blueberries, peanut butter and almond milk, optionally add a cube of ice to make it refreshing, and enrich the mixture with just two tablespoons of whey protein powder. Drinking this smoothie in the morning will prevent you from craving snacks, and, besides protein, it also provides you with healthy fats thanks to the peanut butter! This list would not be complete without a fresh green smoothie. A great sugar-free option is this very healthy minty smoothie, so even if you’re not a fan, give it a try, you might be surprised! The color is green thanks to the avocado and the spinach, which give you lots of potassium, vitamin C, magnesium and so on, while the peppermint extract gives it a cool, fresh quality. Here, too, you can add some whey protein to boost the benefits. For last, here is an exotic protein smoothie that will remind you of your holiday. 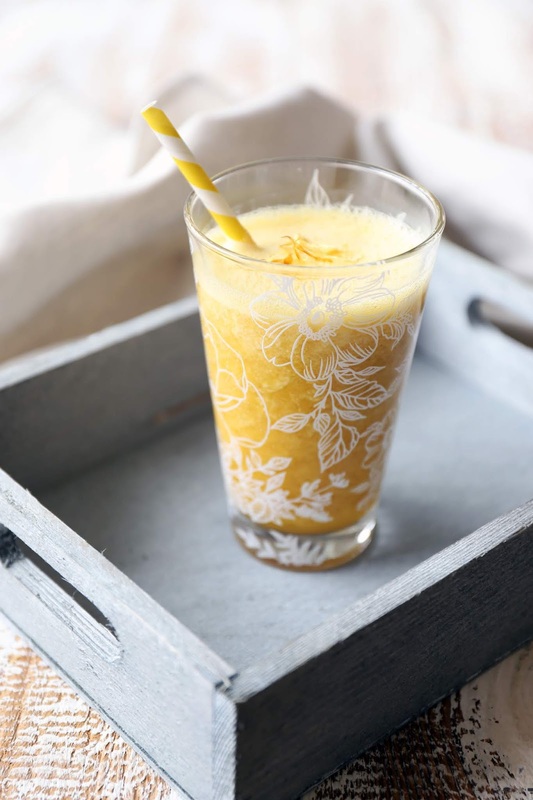 This piña colada smoothie is made with coconut milk, banana, pineapple, mango, and a bit of protein powder, and in just a few minutes, you can have this delicious but healthy snack on your table. Use the remainder of the pineapple to garnish it, and you’ll really feel like you’re on a tropical island! As you can see, your options are basically endless. You can also mix and match these recipes and adjust them to your needs and taste to get all the necessary vitamins and proteins. Be aware, though, that striking the right balance is essential, as too much protein is not good for you either. So, make sure you keep to your advised daily intake and you’ll be able to remain strong and healthy and reach your fitness goals!